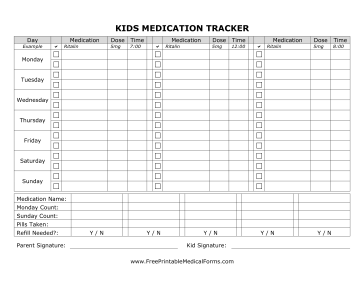 Kids aren't always the most responsible with medication, but you can help them track their daily medication with this chart. Write in the medications in the spaces provided, then check off the medications when they are taken. You can count the medication in the bottom section to ensure compliance, and sign it at the bottom as a family contract.